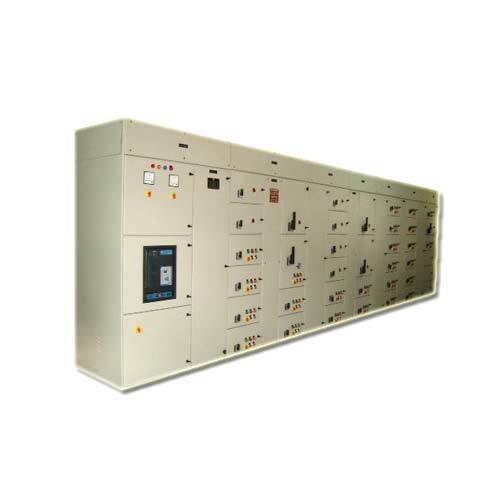 Our valuable clients can avail from us a premium quality range of Motor Control Center Panel (MCC Panel) that is highly demand in the industries. The provided Panel is manufactured using the modern technology in compliance with industry standards. Offered Panel is used in various industries to control motors of the whole industry from a single point efficiently. We offer this panel in different technical specifications as per the variegated demands of our precious clients. This Panel is highly demanded by our esteemed clients for its high performance and ease of controlling motors. Motor Control Center Panel (MCC Panels) included in our range are designed ergonomically in drawn out and non drawn out types. These Motor Control Center panels are functional in distributing power, main incoming and motor control panels within varied industries. Designed as per industry application and clients' requirements, these panels are dispatched only after strict quality check whilst, ensuring efficient performance. Established in the year 2015, 'Divine Controls' commenced its operations as a manufacturer and supplier of Electrical Power & Control Panels. Based at Ahmedabad, our company was soon counted amongst the prominent ones across the globe. With our vast range, we are able to cater to varied industry applications, such as electric utility, and many more. In order to make sure that the requirements of each industry are met to the fullest, we understand the specific needs of our clients and develop the range accordingly. We also provided the insatallation and mainatenance services to our clients. Well-equipped with latest facilities and skilled manpower, we are able to manufacture the products at par with set industry standards. We also conform to relevant Indian Standards, Electricity Rules and other prevalent applicable standards, so as to keep our range updated as per latest trends. Our vast experience in the domain of project engineering & control circuits designing has further helped us in undertaking various jobs and projects in relation to these applications. We assure our clients that their demands are met with utmost efficiency and that the orders will be delivered to them within the stipulated period. For cent percent client satisfaction, we also provide innovative, reliable and maintainable controlled solutions. Such endeavors have helped us gain acclamation across Indian Subcontinent and East Asia.